Departure early in the morning towards Miandrivazo. We leave the Highlands to descend progressively over the wide plateaus and plains of the Middle West. 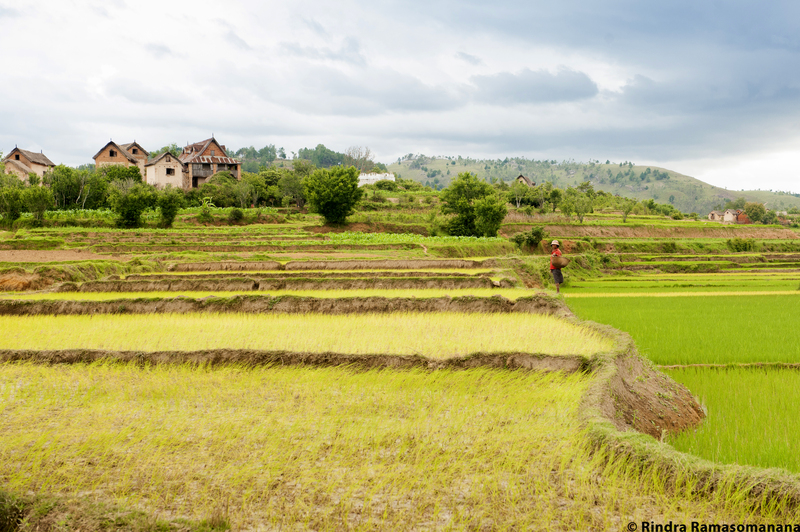 The first part of this journey crosses beautiful fertile valleys and traditional villages. As we are getting closer to Miandrivazo, the temperature gets higher and we see more and more barren hills … covered with dry grasses. By the end of the morning, we will get to Miandrivazo. We will then we take a rough track to Masiakampy to take our barge and begin our sweet adventure and sailing on the Tsiribihina river. 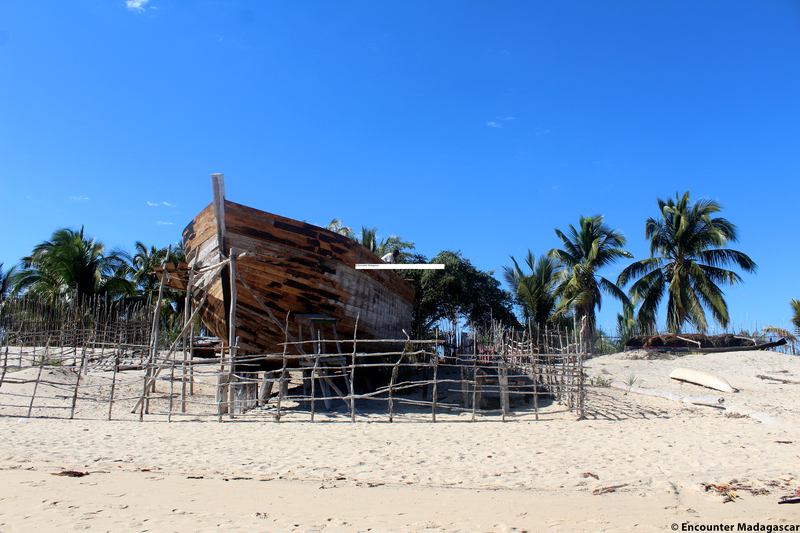 This first day of sailing takes us to the village of Begidro … After about 30 minutes of boat trip, we will have a short stop to carry out the “fomba”: ask for the blessing of spirits and ancestors at the mouth of the Mahajilo and of the Tsiribihina River. Then, we will enter a lush secondary forest. With a little luck, we will see our first lemurs. We will have a short stop at Nosy Ampela’s waterfalls, to bathe before joining our first campsite. Installation in the campsite at the end of the day. The barge: Metallic boat, 14m long and about 3m50 wide. On the lower deck, 2 parallel benches with a table for the meal, it is the shaded part. On the upper deck, a relaxation area with a panoramic view of the surrounding landscape and some deckchairs. The engine can sometimes be quite noisy. Thus, we recommend you stay in the upper deck when sailing. The program is given as an indication. It can be changed according to the timing and water level. However, the most important steps will always be included in the program. After breakfast, we will leave to explore the small typical village of Begidro … meet and exchange with the locals, discover the Sakalava culture, the dominant ethnic group that inhabits the banks of the Tsiribihina river. 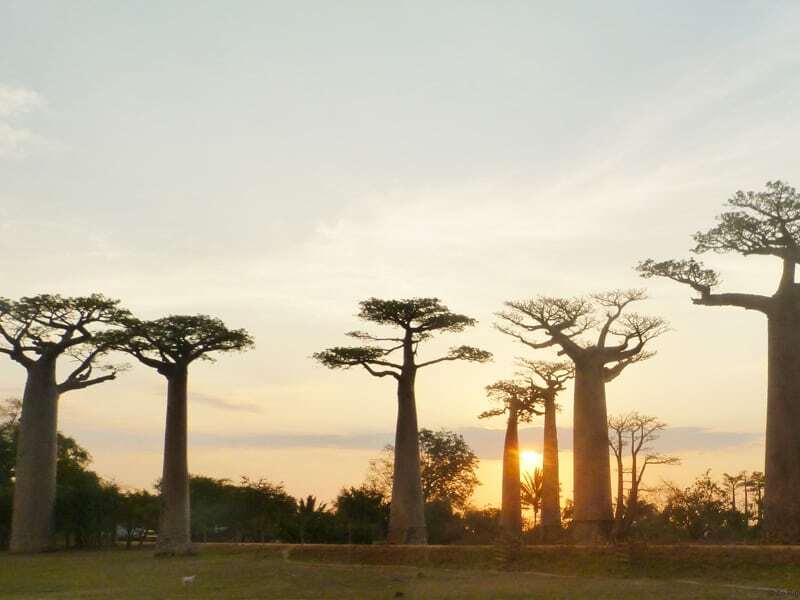 Throughout the trip, discover the magnificent forests of baobab trees, as well as large groups of fruit bats that colonize those deciduous trees that are typical of the West. 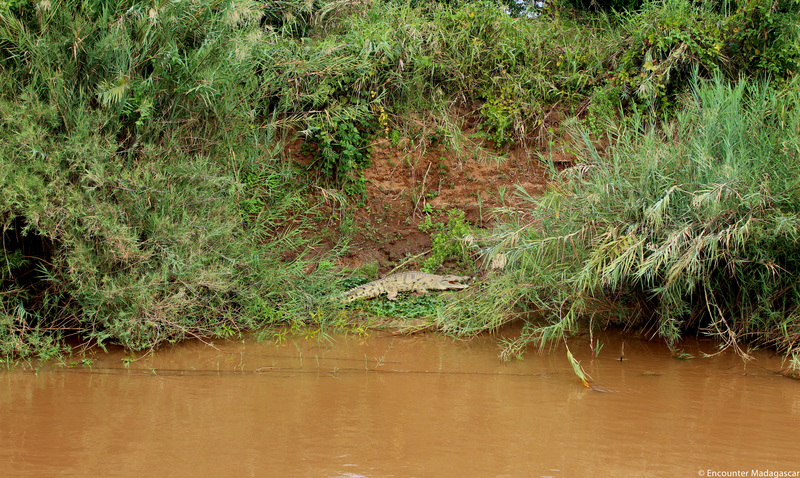 Depending on the seasons, we can see the first crocodiles at this part of the river. Installation of the camp at the end of the afternoon. 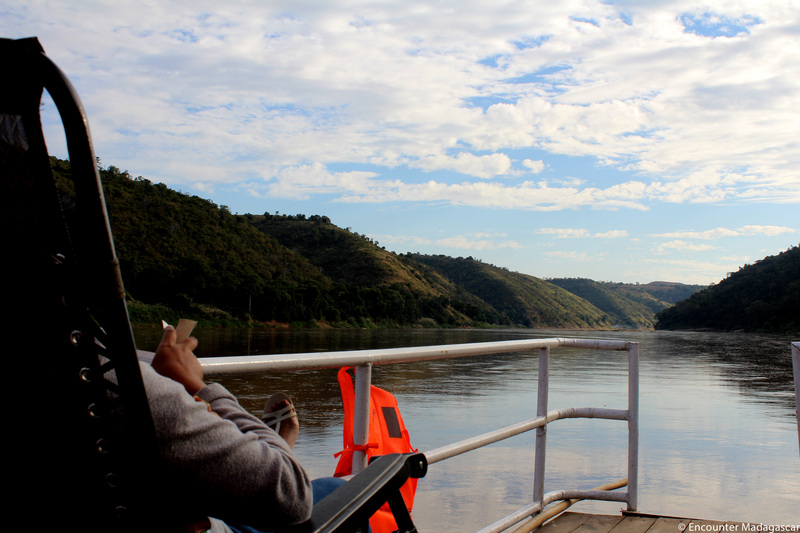 In the morning, we will sail to Belo sur Tsiribihina and meet our driver guide. After lunch, we will continue the journey to Bekopaka. Arrival at the end of the day and check-in at the hotel. Transfer by car to the small Manambolo landing stage (15 to 30 min depending on the hotel). We will start off with a peaceful ride on a traditional dugout canoe (capacity 04 people) to discover the steep 50 to 80-meter-high gorges of the Manambolo River. We will come across different types of vegetation, ranging from dense sub-humid forest to dense dry semi-deciduous forest. After about 30-minute sail, we will stop to visit some caves that shelter some archaeological remains before moving on to reach the cliff. Picnic lunch prepared by us. We will then continue on foot through the forest towards the small Tsingy, a first contact with the massif through some labyrinths, a few aerial paths and viewpoints. End of the ride by mid-afternoon and return to the hotel. One-hour transfer by 4*4 to the starting point of the hike to explore the Grand Tsingy. The journey features magnificent shows of gigantic limestone cathedrals, dense network of faults, deep crevasses, and limestone blocks carved in blades or sharp points that make up an immense field of Tsingy. 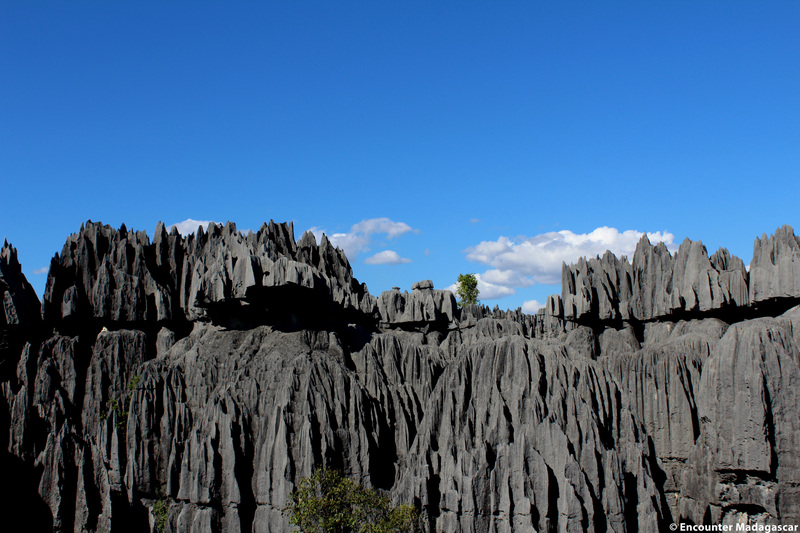 The walks on the roofs of the Tsingy offer a breathtaking panorama over the whole massif. 5h to 6h-visit including breaks, moderately difficult course. Some technical passages, small climbing, crossing of monkey bridge, ramp through labyrinths … The visit requires a good physical condition. Not recommended for people suffering from claustrophobia and dizziness. Necessary equipment: walking shoes or good sneakers, sun protection items, mosquito repellent, and water bottle. Picnic lunch prepared by us. 212 Km / Rough Track / 7h to 8h of journey depending on the crossing of the ferryboats in Bekopaka and Belo-sur-Tsiribihina. Rough track to Morondava. Halfway, we will board a ferry to cross the Tsiribihina River. 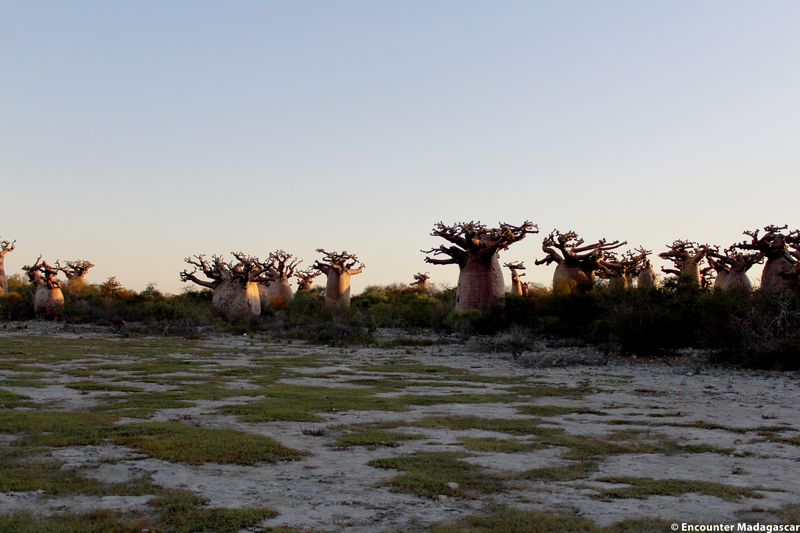 At the end of the afternoon, we will stop at the Avenue of the Baobabs to admire a magnificent sunset through these majestic mythical trees! Arrival at the hotel in the early evening. ATTENTION: The trail from Morondava to Belo Sur Mer has become really hard, due to unexpected issues with the river levels. Therefore, we reserve the right to modify as follows this journey at the last minute depending on the condition of the track: Morondava – Mandabe – Manja: without going through Belo sur Mer. This night will be replaced by one more night at ANDAVADAOKA or SALARY. Free day in Belo sur Mer. Several activities can be organized from your lodge. Belo sur Mer is one of the most beautiful villages on the west coast. 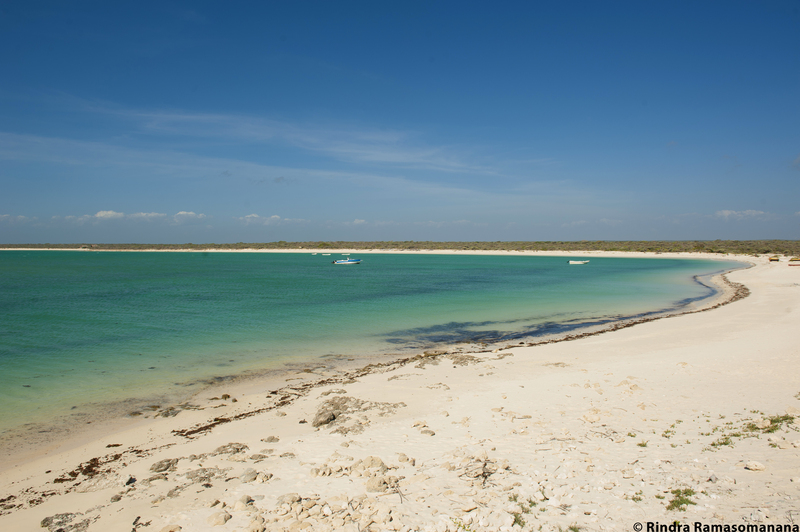 This coast also has several ecosystems: lagoons, mangroves and dunes. We are leaving the coastal track for a while to reach Manja, a village in the mainland. We are right within the Sakalava territory. We will cross a wide plain of grassy savannah to reach Manja, a noisy and colorful village … Installation in a very simple hotel. This step is mandatory to move towards the south-west. Picnic lunch prepared by us. 210 Km / Rough Track / 7h to 8h of journey depending on the crossing of the ferryboat in Bevoay, located halfway. Early departure for a day on rough tracks. 4WD drive to Andavadaoka. Stop at Bevoay for the crossing of the “Mangoky” river on a rustic motorized tank! The road leads us to a dry deciduous forest of euphorbias, thorns and jujube trees. We will reach the coastal track in Morombe, a small hamlet in the west and a stopover point for refueling for Morondava and Tuléar. Arrival in Andavadaoka in the late afternoon. 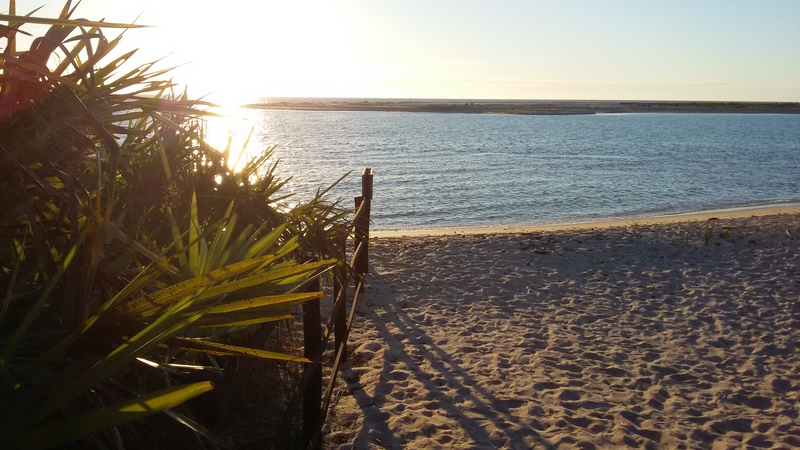 Morning by the seaside in Andavadoaka, enjoying the beach, the lagoon or the coral reef. We twill hen take the road towards Tulear. Lunch in Tulear or Ifaty depending on the timing. In the afternoon, continue to the Isalo National Park. We will have joined the national road and will ride on asphalt until the end of the trip, except to reach some natural parks. Visit of Isalo National Park. Transfer to the entrance of the park for a hike that will take you through the most beautiful sites of the massif. We will first go to the natural pool … through a path that passes through magnificent rocky walls that shelter some Bara tombs. We will stop at some points that offer breathtaking views on the massif. After swimming, we will continue the hike along a ridge line on the eastern part of the massif to end up at Namaza creek and forest. With a little luck, we will see some groups of lemurs. For the bravest ones, the walk will go on to the black and blue swimming pool, then to the Nymphs’ Waterfalls. Picnic lunch prepared by us. 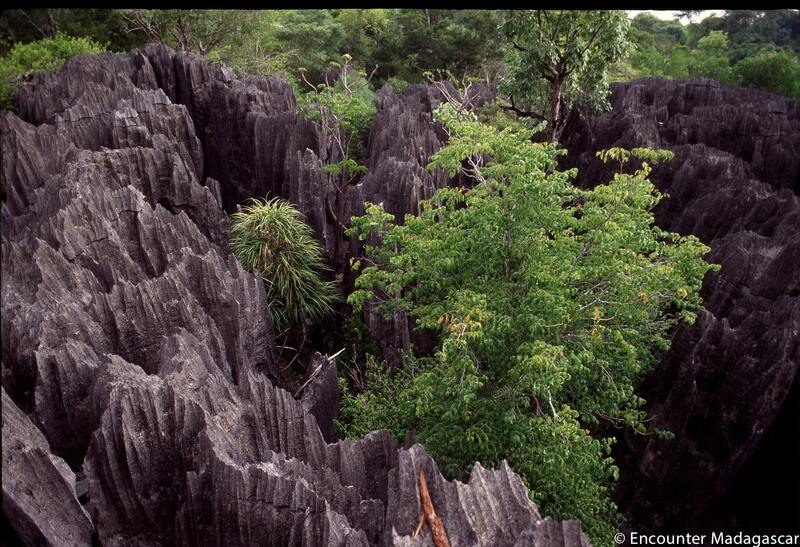 About the Isalo National Park: The oldest geological formation of Madagascar will open its doors to you. This massif of continental and ruiniform sandstone dates back to the Jurassic era. 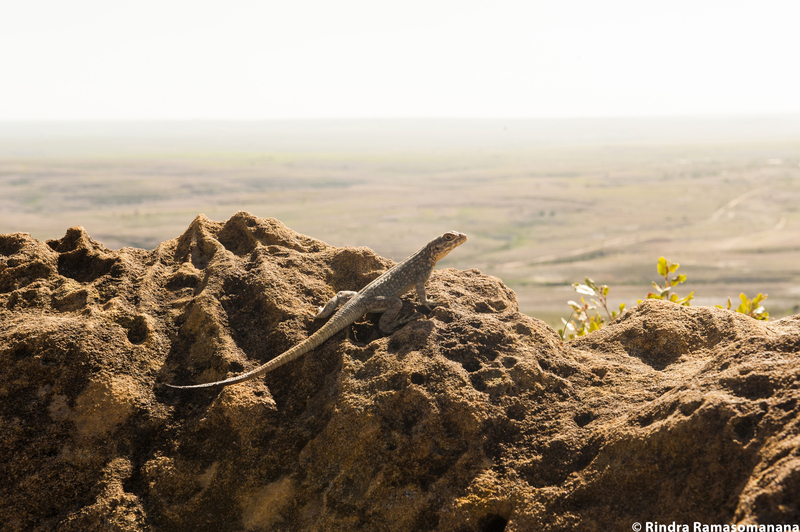 Its very typical geomorphology, sculpted by erosions, offers a stunning show of colors and shapes … Second largest national park in Madagascar, it contains unmatched richnesses in biodiversity (endemic rock plants, such as Aloes, Euphorbes, Pachypodes, Kalanchoe …) and a specific fauna. Departure after breakfast to continue ascending the N7 that we will then leave to join Tsaranoro valley. 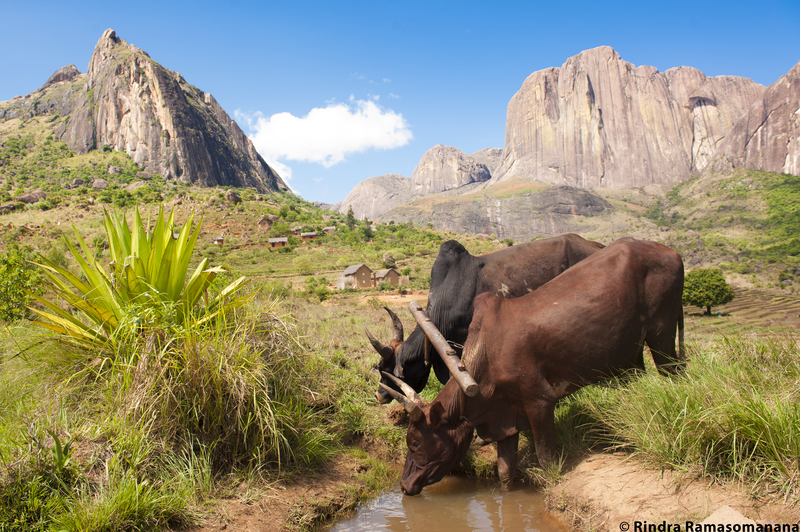 Nestled at the foot of the Andringitra Mountain, it is considered as one of the most beautiful places in the south. A mountainous landscape characterized by splendid granite domes, small traditional villages scattered throughout the valley, rice fields here and there. We will then get to Tsaranoro valley, and after settling, we will leave for a hike towards “the peak of the Chameleon”. The climb to the top of the Caméléon, in the heart of Tsaranoro valley, offers a breathtaking view of the landscape of the Andringitra massif. We will visit the sacred forest of Tsaranoro, where inhabitants of the valley are buried. Early in the morning, it is possible to see lemurs taking advantage of the heat of the first sunrays. The climb will lead us through torrents, slopes and plateaus. Tsaranoro offers several other possibilities for more accessible or adventurous walks, (from 3h to 8h, between 250 m to 700 m of uneven heights, easy to difficult walking, hiking trail or climbing path) according to your physical condition. The excursions will lead you to meet the local population, but also to discover the landscape of the massif of Andringitra. Picnic lunch prepared by us or at the hotel reserved according to the type of walk chosen. We will leave the valley of Tsaranoro in the morning. We will drive up the road 7 to Fianarantsoa. 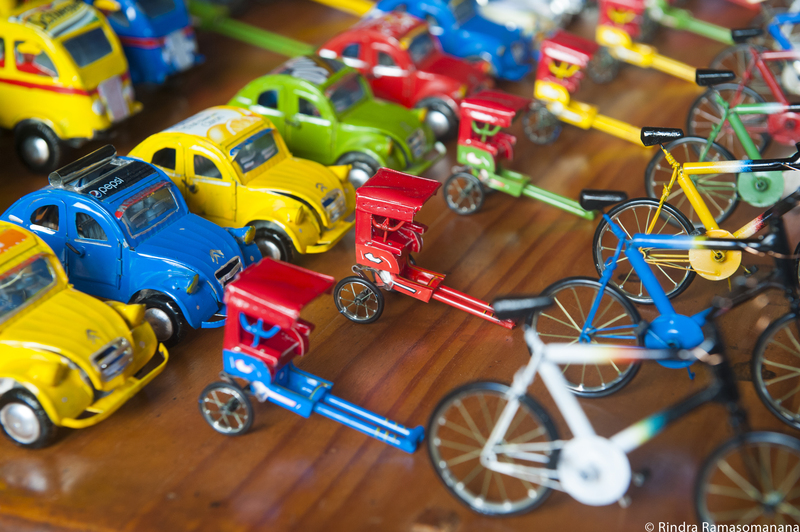 A small stop in Ambalavao is necessary to stroll in these small animated streets. It is possible to visit a workshop of weavers. The landscape still remains mountainous, and we begin to see more and more the rice terraces that are typical Betsileo decor. Before leaving, visit Fianarantsoa’s old quarters on foot, through pretty alleys and stairs. Then we will gradually ascend the N7 through the winding road lined with eucalyptus and mimosas. Small stop in Ambositra to discover sculptors and markers in their neighborhoods. 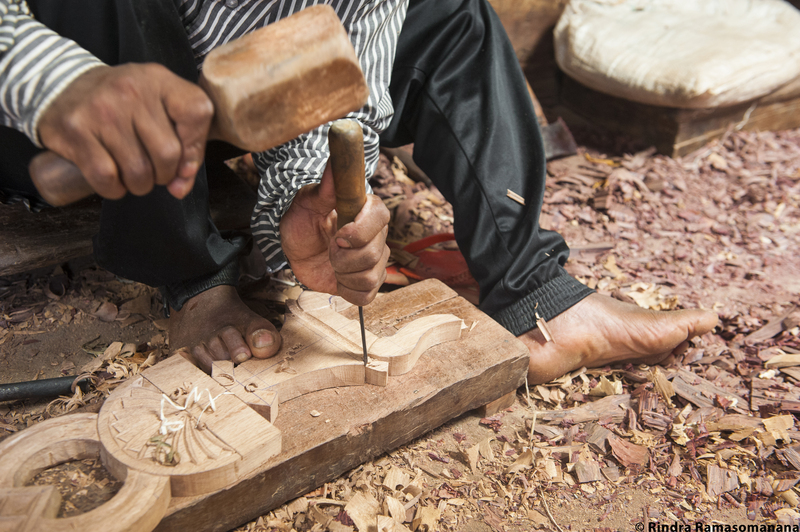 These are skilled and friendly craftsmen who will be happy to welcome us in their home. Free lunch on site. Arrival in Antsirabe in the late afternoon. Before returning to the capital, we will enjoy a final walk in the countryside in the morning. Depending on your desire and physical condition, it can be done by bike or on foot. We will discover the fertile volcanic plains of the Vakinankaratra … Discovery of the rural world of the Highlands. Drive to Antananarivo in the afternoon. Day use in a small hotel next to the airport. The Tsiribihina descent program is given as an indication. It can be modified depending on the timing and the water level. However, the most important steps will always be scheduled. A night spent in a basic campsite in the middle of the bush, by the riverside, with a mattress, a pillow, a bedsheet and a blanket. The Great Tsingy of Bemaraha: the trail is quite technical and physical as in some part, it uses ropes and climbing harnesses. It requires a certain level of physical condition and is not recommended for people suffering from dizziness and/or claustrophobia. Long days in the coastline, can be exhausting at times. Laterite, sandy or stony tracks, river crossing. Unvoidable step in Manja’s bush. Night in a very simple accomodation due to lack of infrastructure.